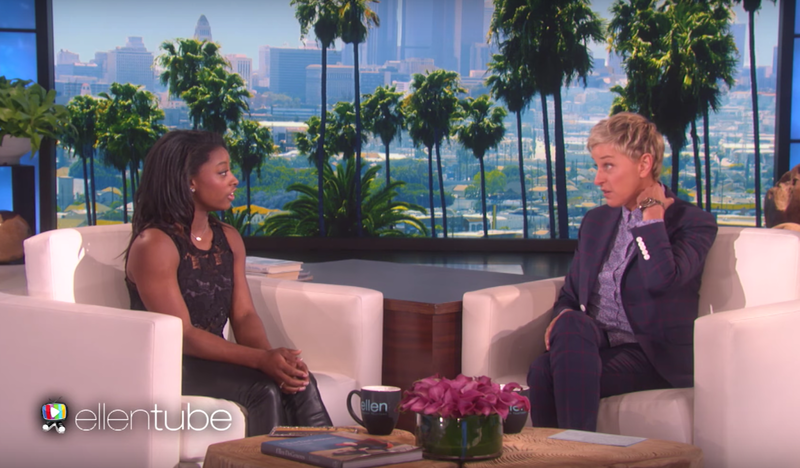 Simone Biles was recently a guest on Ellen - and leave it to Ellen, she pulled a prank on Simone. 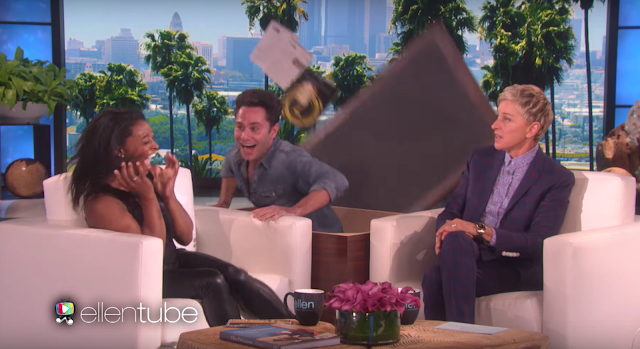 Ms. Biles' partner on Dancing with the Stars, Sasha Farber, popped out of a false table - giving Simone a scare. 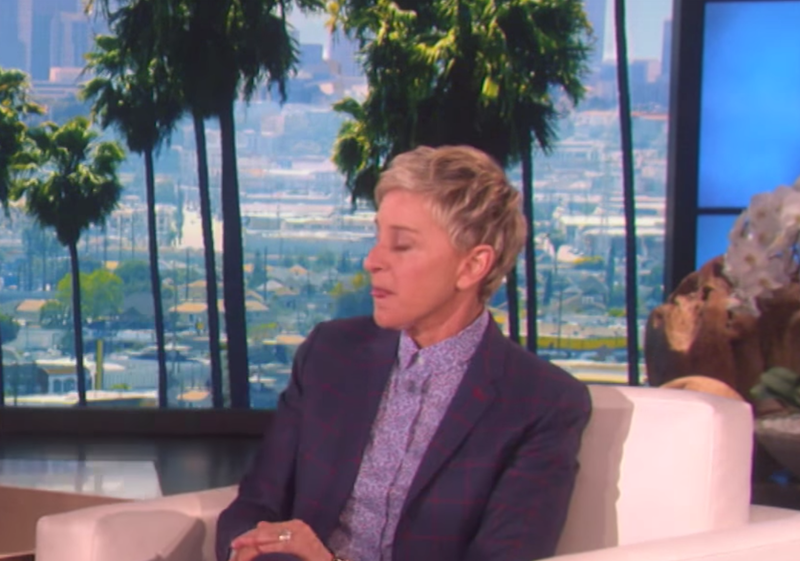 What we see in the above image (captured during 3:56) is largely not body language though - it's an example of what is known as a startle reflex. As the name suggests - it's a reflex (involuntary and not processed in the cerebral cortex). When we become startled (which occurs very rapid after the stimulus), we look toward that which is startling us - in order to see it, blink forcefully, and we pull our limbs in toward the center of the body, as well as contracting the jaw - and flexing the neck, shoulders, elbows, hands, hips, knee, ankles and toes - all to varying degrees, depending on the source and severity of the stimulus. 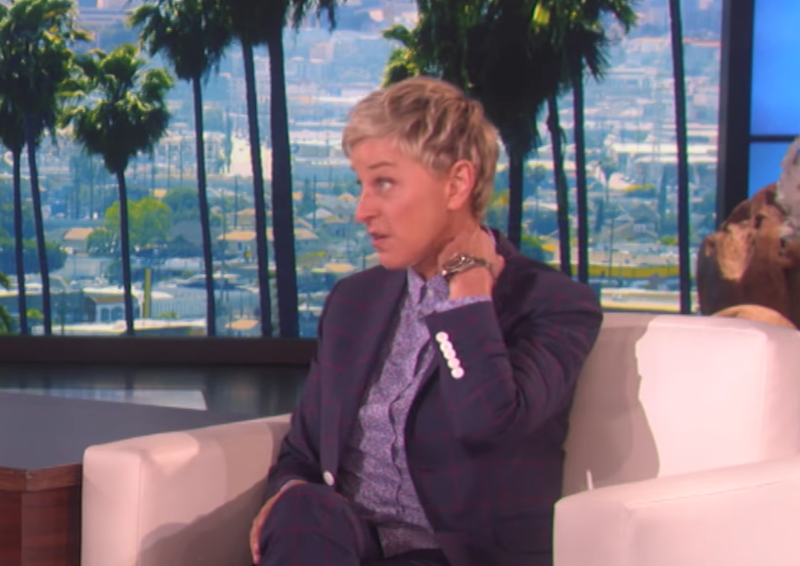 However - one second prior (3:55) we see Ellen display some classic body language - as she scratches her left neck and pulls her collar. Both the pull and the scratch are very common - and textbook nonverbal tells frequently manifested in the midst of an anxiety surge. Just after the prank - and indeed before Simone has even begun to recover - Ellen displays two "Tongue Juts" in rapid succession (more specifically these were "Loose Tongue Juts"). The image above is from 3:57. The second Loose Tongue Jut is seen during 3:58. 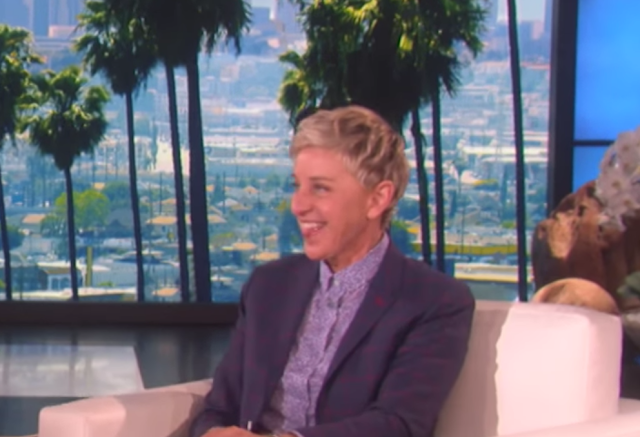 These nonverbal displays are extremely commonly exhibited by the perpetrators of pranks - at the payout moment - being indicative of the emotions of: "I've Been Bad" and/or "I've Been Caught" (Navarro). Thus, in this context, these are in part, a form of self-deprecating behavior.